In April 2019, 3B Training expanded further by opening two new centres. Introducing one in the south and upgrading its office in Preston. The venue in Guildford is used to bridge the gap between Watford (North London) and Portsmouth (south coast) whereas Preston has been moved to a venue with better facilities and more up to the company’s standards. Guildford, one of the new centres, is based in Peasmarsh in Guildford. The venue will provide extra options for those looking for training in the south of England. The training rooms can cater for up to 20 delegates and will be offering a range of Site Safety Plus Accredited Courses. The centre is just a ten-minute drive from the centre of Guildford and four minutes from Shalford Train Station. The new centre in Preston has moved from the building at Horsfield Place. It is now just down the road at Girlguiding North West England. We made the decision to move so that we could offer better facilities for our customers in Preston. At the venue, we will be delivering our usual catalogue of SMSTS, SSSTS, refresher courses and CITB Health & Safety Awareness as well as First Aid Courses and various other 3B Training accredited short courses. Short courses include the likes of Fire Warden, UKATA Asbestos Awareness, Manual Handling, Abrasive Wheels, Working At Heights and Safe Use of Ladders & Step Ladders. 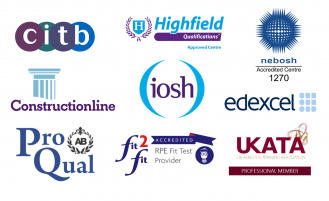 Take a look at the range of training venues 3B Training offer here.